This is Day 3 of Publisher Week featuring Boroughs Publishing Group. For the next few days, Romance Lives Forever will showcase this publisher and its authors. Yesterday we visited with our 'Naughty Boys' and let's be honest, wouldn't we all like to take a crack at breaking their shells? Today we're visiting with the bad boys of yesteryear, the Lords of Regency – Rakes, Rogues, Scoundrels and Libertines. Good breeding cannot disguise their wicked ways, but under all that bluster beats the heart of a man yearning to be ensconced in the arms of that certain woman - and it is she who will whisk him away to rusticate happily in the country. 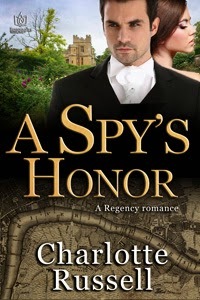 Embroiled in a scheme to catch an assassin, Lady Claire Talbot will soon learn all that His Majesty's spy Lord John Reyburn has to hide—and all that his heart is dying to reveal. The youngest of six sisters, Mercy Ackerly has known since thirteen what everyone else is about to learn: She'll marry the elusive Duke of Blackthorne. Love the blog- so excited to be included! Thanks for the great feature of Boroughs! I look forward to what the rest of the week will bring. Oh, Alanna Lucas's book sounds wonderful. Just the kind of adventure I've been looking for! These all look delicious but I seriously need to know what Alanna's heroine is up to. I am just sure she's up to something. Of course, I won't be able to rest without getting all three! Welcome everyone. Regency is one of my favorite romance genres. I get a kick out of how proper everyone is and how scandalized they are over the smallest detail. Goodness, imagine a Regency lady in downtown LA or NY. o.O That might be a fun time travel story! These all look wonderful. It's really great to see all my fellow Boroughs being showcased here. Each one is unique and talented and I love to see how the company has grown to have the number of authors and books it has right now. Thank you Susan. It's my pleasure. Great showcase. 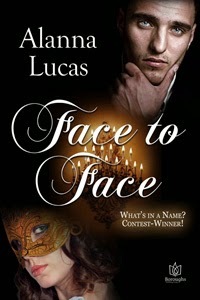 I can't wait to read Face to Face! I don't read many historicals, but I love Regencies! Great post. Love those boys of yesteryear! Keep 'em coming! Great excerpts! Face to Face is already in my TBR pile, and I'll have to check out the others! Lovely covers and intriguing stories. Thanks for sharing. What a terrific line up! I now have more than Face to Face (already on my list) to look forward to. Love these Regency heroes.